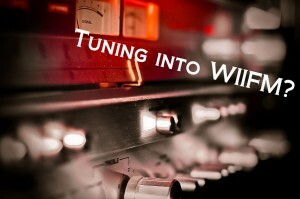 “TUNING INTO WIIFM?” – 180° Delivery of Compelling Content with Real-World Relevance! Using principles of Communichology™, Tom teaches from the unique vantage point where communication skills and human psychology collide. This multi-media and interactive session explores the practical applications of harnessing “selfless-selfishness” strategies to meet your individual communication goals by understanding and meeting the needs of others first. The most effective communicators fine-tune their instructional approach to make their messages even more effective inside and outside of the classroom or conference room. Everyone is broadcasting the “WIIFM” frequency, and most people miss it. Tuning-into it produces benefits not often considered. It pays to discover the key communicational differences between: details vs. discovery; lecture vs. learning; pedagogy vs. passion. The power of “selfless-selfishness” can positively transform all personal and professional relationships. Great COMMUNICATORS understand that the communication process is less about them and more about their audience. The most effective communicators are tuned into the WIIFM? frequency and are very AWARE that most others are not. By employing principles of “selfless-selfishness” into your communication, you give your audience what they want FIRST… which gets you what you need NEXT. The “success” of communication is based on the PERCEPTION of the audience. Tune-in! “SEE” your students, yourself, and your communication from the perspective of others. Attendees of this talk gain an impactful and entertaining understanding of powerful persuasion and influence techniques that foster learning inside and outside of the classroom or conference room. Participants learn proven strategies that encourage subject-matter buy-in to aid in customer satisfaction, retention, and recruitment. Session information empowers attendees to take a macro-view of their messages’ impact and long-term relevance. This session is for teachers, sales professionals, and management or supervisory personnel. To truly have an impact in business, industry, or education and beyond, we all need to be tuned into the “WIIFM” frequency that others are continually broadcasting. Incorporating “selfless-selfishness” strategies into our daily interactions by effectively answering the question “What’s In It For Me?” for others FIRST, produces a win/win outcome for all parties involved. In today’s over-communicated economy and culture, the most effective among us are those who are “smart” emotionally and socially, and as well as who are superior communicators. Sharpening the intuitive skills necessary to successfully manage our personal and professional interactions with others is an all-important art and science. Possessing high-levels of these skills is no longer nice, but necessary to truly influence successful outcomes at home and on-the-job. **For Educators: this talk emphasizes key Retention & Engagement strategies for faculty to use inside and outside of the classroom. Tom Leu, M.S. is a Member of the National Speakers Association, a Certified Professional Coach (CPC), and Certified Trainer for the Body Language Institute. Tom is also a professional photographer and host of two radio shows that air in Illinois, Florida, and around the world as podcasts. Tom is the former Academic Dean at Rockford Career College in Rockford, IL, and previously worked as an Account Manager at McGraw-Hill Higher Education. Researching from a social psychological perspective, Tom created a new discipline of study called Communichology™ in which he presents from the unique vantage point where communication skills and human psychology collide. Tom is a sought-after speaker on topics pertaining to advanced communications skills, leadership, the new body language, emotional and social intelligences, persuasion and influence. Tom’s professional career includes over two decades of experience as a college administrator & instructor, keynote speaker, corporate trainer & seminar leader, radio & television host, author, & photographer.